Scott Lucas is best know for his aggressive rock band that was established on the heels of grunge in the mid 1990s. You would never know it by listening to his first “solo” record George Lassos The Moon. Lucas is able to explore foreign territory that he never could with Local H on this album and he pulls it off increadably well. Acoustic guitars and violins replace the distorted guitars of Local H on this record. The sound is much softer on the record by 3 times as many members as Local H as well. It works well though. These polished rock songs don’t make the listener think “side project” they are a different animal all together and show just how talented the “Copacetic” guy is. The record still rocks, just not to the maximum volume that Lucas’s other band does. There are also several very soft moments like the slow building “Stolen Umbrellas.” After listening to the record it is easy to see why Lucas felt the need to create an outlet for these songs. They wouldn’t fit on a Local H record and were simply too good to hold in. 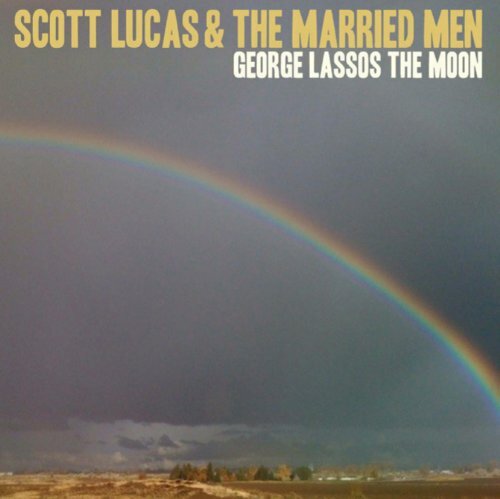 This entry was posted in 250 word album reviews and tagged 250 word album review, 4 Stars, acoustic, Bob Dylan, George Lassos The Moon, Local H, Scott Lucas, Scott Lucas and the Married Men, violin. Bookmark the permalink.